On Dhigufinolhu, Anantara Resort Maldives offers 68 beachfront villas, all situated on a private stretch of beach, with unique outdoor bathrooms and rain showers. Two Beachfront Pool Villas are more spacious and come with their own private plunge pool set in a tropical gardens. Anantara’s 38 over-water suites, situated over the Indian Ocean, feature private sundecks and open-air infinity-edged bathtubs with a view. Room types include: Deluxe Beachfront Villa, Sunset Deluxe Beachfront Villa, Deluxe Beachfront Pool Villa, Over-Water Bungalow and Deluxe Over-Water Bungalow. 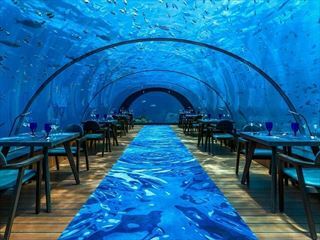 For the ultimate over-water Maldives luxury resort getaway, 2 exclusive Deluxe Over-Water Pool Suites enjoy a prime setting at the end of each jetty, with wrap-around sundecks featuring their own private plunge pool and spacious interiors with hints of Maldivian culture and arts. Water Sports Centre - If you’ve seen enough of the reef’s spectacular aquatic landscape and wildlife, you can enjoy some of Anantara’s complimentary water sports, including kayaking or windsurfing across a placid lagoon. For those looking for a bit more adventure, the hotel has its own catamaran available for private charter on an hourly basis. Diving Centre- Envelop yourself in a panorama of spectacular marine views on a dive safari. PADI certification courses will guide you to taking your first breaths underwater and open up a whole new world for your discovery. Take full advantage of the hotels PADI 5* dive centre, which offers a full range of courses from beginner certification to expert reef dive excursions. Or, snorkel leisurely on the edge of the lagoon or peruse the Maldives’ fabled coral gardens on one of the daily guided snorkelling trips. 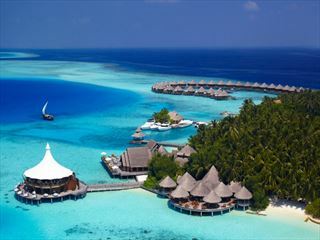 Dhoni Adventures - A Maldivian distinction. Sail the high seas in a dhoni, the traditional local sailboat. Meet and greet dolphins. Enjoy a cocktail as you sail into the sunset. Rediscover what it means to relax. Or, let the stunning island surroundings invigorate you. Dive into the unexplored world of marine life in the crystal clear waters around you. Take up windsurfing on the placid lagoon. Stroll through the markets of bustling Male. Explore even more undiscovered islands. Days spent at Anantara Resort Maldives can be as leisurely or as active as you choose. Spoil your body, soul and mind with a selection of Anantara Spa’s world-renowned signature treatments, alluring bath and steam rituals and holistic therapies. 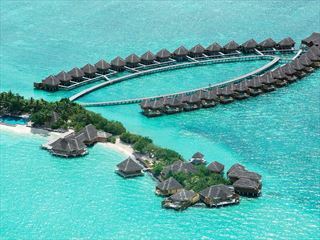 Anantara Spa Maldives is a true oasis of tranquillity, in one of the world’s most remarkable tropical island settings. Choose between treatment suites overlooking the lagoon on Bodu Huraa or nestled in the gardens of Dhigufinolhu. Open for children from the ages of 4 to 12 years old, the Dhoni kids club keeps our youngest guests entertained during their holidays with an action-packed programme featuring a variety of beach and outdoor activities, creative crafts and games that are fun, educational and culturally enriching. All are under the supervision of a qualified Kids’ Coordinator. Children aged three or under are welcome when accompanied by an adult. Childcare services are available for a fee. Fiery Thai curries and handmade Italian pastas. Open kitchens and tableside cooking. Dining at Anantara is about more than just savouring a great meal. It is a total immersion in the local flavours of this rich destination, along with those of some of the world’s best culinary traditions. Honeymooner's are required to provide a copy of a valid Wedding Certificate upon check-in.